Children love pretending they are all grown up and copying adults. 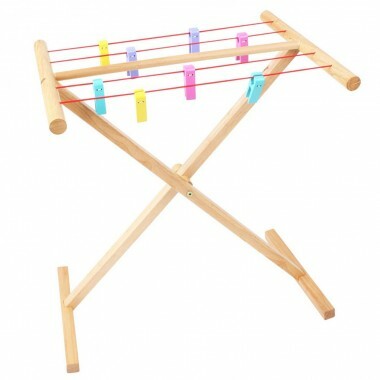 They will enjoy using this lovely wooden clothes airer to pretend to hang out any laundry that needs airing. 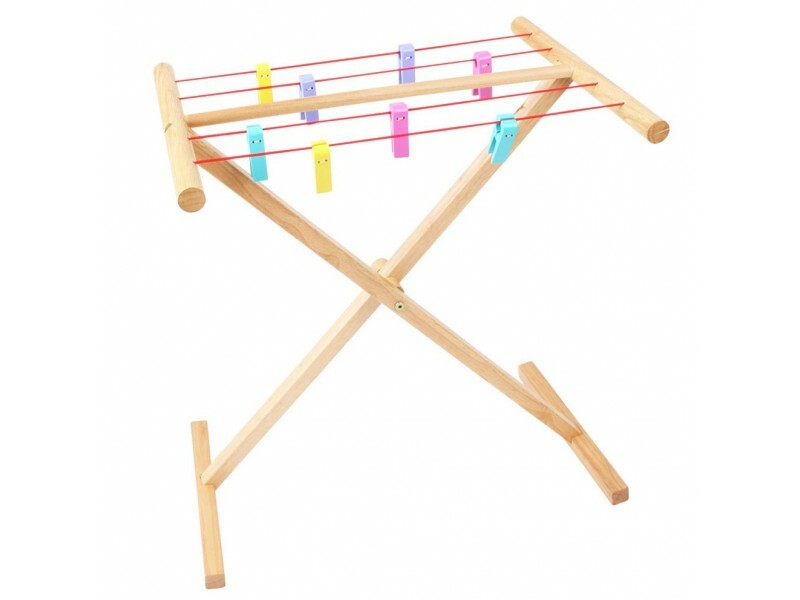 This airer from BigJigs has a natural wooden frame and four lines of string for hanging out clothes. Learning to use clothes pegs will help children with hand/eye coordination and manual dexterity, but really this wooden toy is all about fun! She loved it. Once she mastered the clips, she went in her drawers to get more clothes to hang! 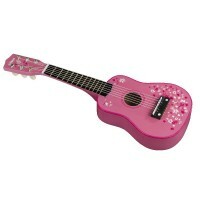 This was a gift for my 4 year old granddaughter. It is just the right height for her. It is very sturdy and well made, she loves hanging her dolls clothes on with the little pegs which are just the right size for little hands. 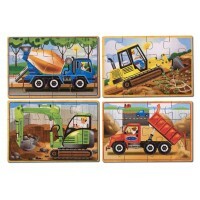 The only slight downfall is that once it's built it is not collapsable.